Kids love to find ways to wriggle out of getting music lessons. Their parents still make them go because they remember wriggling out of their music lessons themselves as children, and they regret it now. What is the best way to get your child to learn music, and not hate every minute of it? 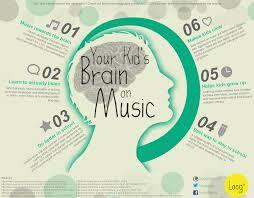 The right time to bring music into your child’s life would be around the age of seven. Music is shown to help children improve their skills at everything – sports and academics, and of course their sense of tune. 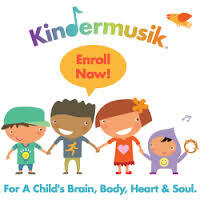 The first step of course would be to make sure you pick the right instrument for your child. The piano is usually the first thing that comes to mind when you think of putting your child on path to musical knowledge. Going with the piano will introduce your child to complete notation reading skills too. But the piano is rather large for small hands, and a small violin can be great instead. It lets the child walk about when practising, and it helps impatient children that they aren’t rooted to a seat. For children with a touch of restlessness, drums can be a great idea. Children can very easily begin to hate an instrument they start on. Experimentation is key to begin with; and that’s why you should consider renting the instrument of your choice and not buying right away. There are lots of online tutorials and videos that promise to help teach you any instrument, and all of it, for the price of just one private lesson with a real human tutor. All that might work for self-motivated grown-ups; but consider a real teacher for your child. To find a good one, all you need to do is to go to a local music school or even a local music retailer and ask for a referral. Make sure you get someone who has a reputation for being patient and with a sense of humor. Talk to the parents of other children who are taught by the teacher in question, and ask about her style of teaching. It’s important to get someone who is experienced with children. As much as you beat around the bush trying to make the experience acceptable to your child, to learn music ultimately come down to no end of practice. The way expert teachers see it, you need to get your child to start practicing no more than 10 minutes at a time, no more than twice a day in the beginning. Some children may find that a little much, and settle for just once a day. You can slowly work it up until you have your child practicing at least an hour a day. The reward in learning, being able to do a piece beautifully and with mastery, takes months to arrive. What if your child wants to quit because she can’t see anything coming of it? All kinds of bribery and petty manipulation can do the trick, unless your child really hates learning to play an instrument. In that case, it is rarely worth it making your child miserable over it for longer than a year. A child can still enjoy music in other ways. One who conquers himself is greater than another who conquers a thousand times a thousand on the battlefield.